Back in 1857 Delhi, when the invading Britishers tore down the historical structures of the old city to establish their authority on a country known for its kings and palaces, poet Mirza Asadullah Khan Ghalib took it as a personal attack rather than one on the flourishing Mughal dynasty. Reflected in his letters to friends and family are feelings of utter loss and nostalgia, that director Zafer Mohiuddin seeks to showcase in his play, Zikr-e- Ghalib. a�?There are about 800 letters he has written and Ia��ve picked 40 that pertain to the subject. He has not only left his mark on Urdu poetry but on prose as well,a�? says Mohiuddin, the founder of Kathputliyan, a theatre group that stages plays with a social message. 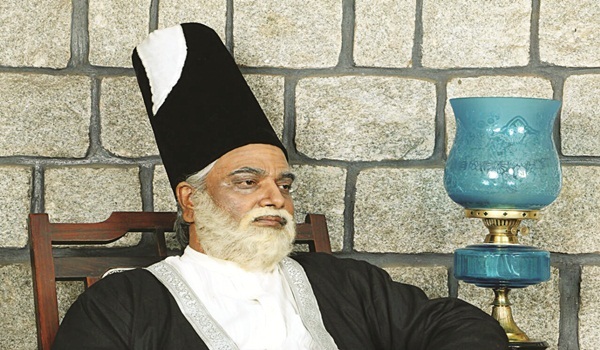 Promising music, Kathak performances and drama, the play sees Mohiuddin donning the role of Ghalib. It starts off with a couplet, recited by the actor. a�?There have been no biographies on Ghalib. The only picture we get of him is through his letters. They prove that he was liberal and broadminded. He may not be liked by fundamentalists, but he certainly had talent and an interesting view of the world around him,a�? he says. Also based on some of his poems and ghazals, the plot sees the protagonist sinking into a state of nostalgia after stumbling upon old letters he had written years ago. a�?The aim is to bring alive the works of such a great poet and familiarise the younger generation with it. Even if it inspires one person, Ia��d be more than happy,a�? says Mohiuddin, adding that the play deals with the themes of love, grief and nostalgia. Apart from recalling Ghaliba��s past, while in character, Mohiuddin will also talk to the audience about the life of the great poet throughout the play, which will be interspersed with Kathak performances by Smitha Srinivasan set to ghazals performed by a live band comprising a tabla player, flautist, sarangi player and vocalists.